As Easter is here, the web is naturally stormed with egg-themed videos. Inventor and how-to master Night Hawkin Light has gone viralviral over the weekend with his interesting and creative how-to video explaining how to scramble hard boiled eggs inside their shell. The trick is actually quite simple. Just secure the egg in a cloth sleeve, spin and twist the egg as hard as you can, and then pull away on both ends of the sleeve a few good times. The force will cause the yolk to break and mix with the white. Then, simply boil the eggs as per usual hard boiled directions. Upon breaking the shell, a perfectly scrambled hard boiled egg is discovered. 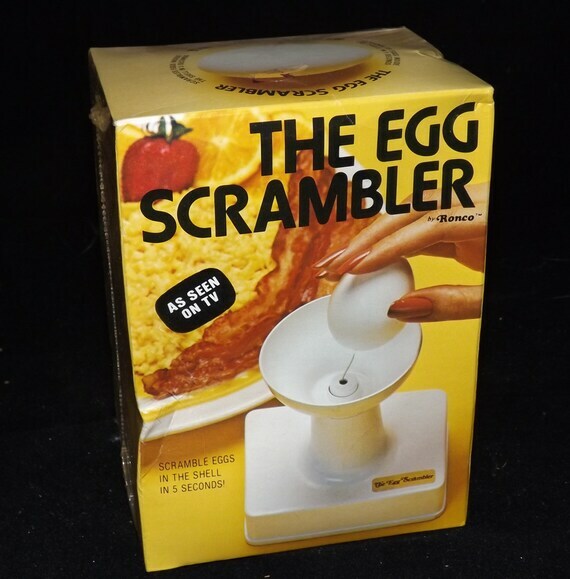 Viewers can’t help but be reminded of the vintage Egg Scrambler. Of course, after scrambling in the shell, the egg was still cracked and cooked in a traditional fashion, so what’s the point? Already, the new video has accumulated over 400,000 views, and is featured on Fark, DailyPicks, and Gizmodo.